Do You Know What You're Moving Into? From New Build Construction to existing Homes/Condos, I cover all the aspects of a home. Buying a home is one of the most crucial decisions you will make. You will have to get appraisals, home inspections, surveys, insurance and so on, all in the interest of protecting your investment. Don't forget to also get your home tested for previous drug labs, processing and usage! Toxic chemicals from illicit street drugs can make your family sick and your wallet cringe with cleanup costs starting at about $10,000.00. In the United States only 1 in 10 drug labs are ever discovered leaving future buyers at risk. Don't judge a book by its cover! Often times drug dealers and producers use homes in suburban and higher end areas to avoid suspicion of illegal activity. More than 50% of states have no disclosure laws regarding these types of hazardous conditions. Schedule your testing today with Your Buckeye Home Inspector and get the peace of mind every homeowner should have when settling in. Union County Ohio , Richwood County Ohio, Dublin Ohio Home Inspectors, Bucyrus Ohio, Mansfield Ohio, Caledonia Ohio Home Inspectors, Prospect Ohio Home Inspectors. Marion County, La Rue Ohio, Marengo Ohio Home Inspectors, Sunbury Ohio Home Inspectors, London Ohio, Hilliard Ohio Home Inspectors, Granville Ohio Home Inspectors, Lima Ohio, Gallion Ohio, Gahanna Ohio Home Inspectors, Marysville Ohio Home Inspectors, Ashley Ohio Home Inspector, Local Home Inspectors, and many more. 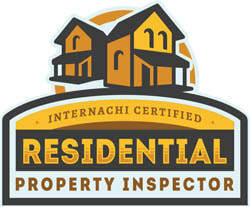 Mobile/Modular/Manufactured Home Inspections, most areas. Affiliate member of the Board of Realtors, and E Key equipped. Member BBB of Central Ohio with A plus ratings/reviews. I will use your information to respond to your request. I will not share your information with any third party other than to fulfill your request, e.g. your Inspection.